#50 TMNT. – Laurel Mercantile Co.
We watched this jewel of a feature film tonight at Jonathan’s for the first time since like… 1st grade? And while Raphael used to be my main squeeze, in retrospect I now realize Michelangelo was way cooler. 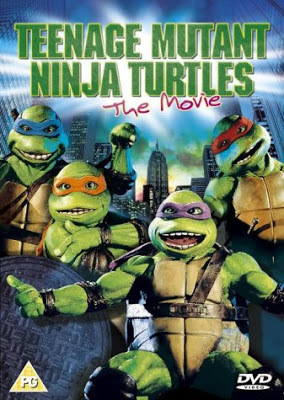 As a child, it escaped me how filthy a bunch of teenage (boy) turtles living in a sewer with a 4′ tall rat would be. Tonight, I fully realized the grossness of it; however it was so very fun to be 5 years old again.